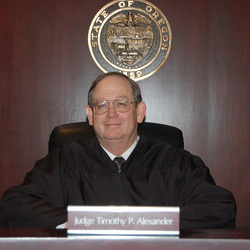 Oregonians for Alternatives to the Death Penalty (OADP) is expressing disappointment with the decision of State Senior Judge Timothy P. Alexander in the latest round of Gary Haugen hearings. We feel that the Governor is totally within his right to declare a moratorium on executions. And, we believe that this decision will be overturned upon appeal. 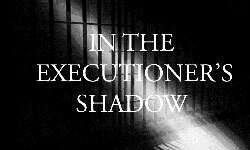 As an organization OADP opposes any and all executions. The organization advocates for use of alternatives to the death penalty, such as life without the possibility of parole as a means of keeping the public safe and dealing with those convicted of aggravated murder. As a public policy, the death penalty fails on the basis that money is spent with the expectation that some good will be derived by the citizens of the State. There is no public good derived from an execution. The death penalty is a “failed public policy” and should be voted out by the people. When the Governor declared the moratorium on executions he also called for a “long overdue debate on the death penalty” and urged the legislature and the people to fix it. The only possible fix of the death penalty is to eliminate it. OADP is eager to promote the debate that the Governor called for. When all the facts are known, it becomes difficult to defend the death penalty system in Oregon.